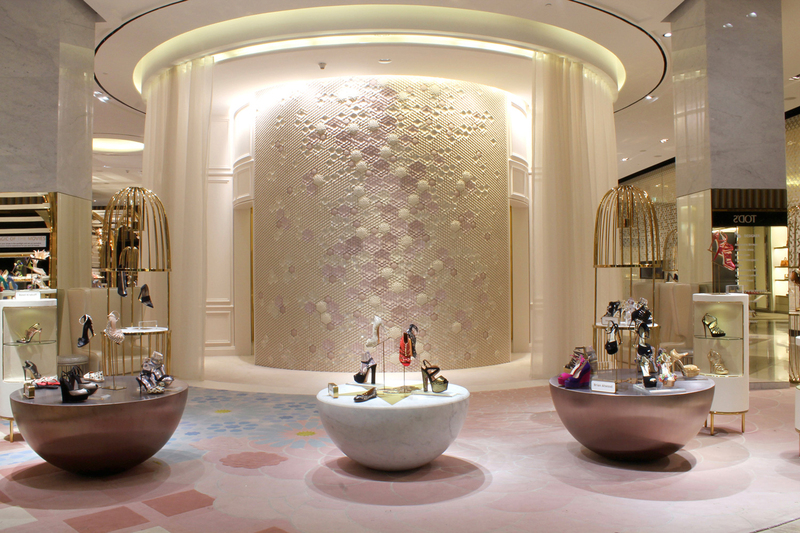 Shopping in Dubai is no longer just a snobbish fad. For the locals it’s pretty much national culture. For the foreigners (who are much more than the locals) it’s a real attraction. Shopping was established and developed as a wise money perpetuum mobile generator and is already well recognised as the main pillar of Dubai tourism. I saw it by myself, Shopping nowadays is surrounded by lots of additional conceits, which unnoticeably invite you to hang out longer and spend more. 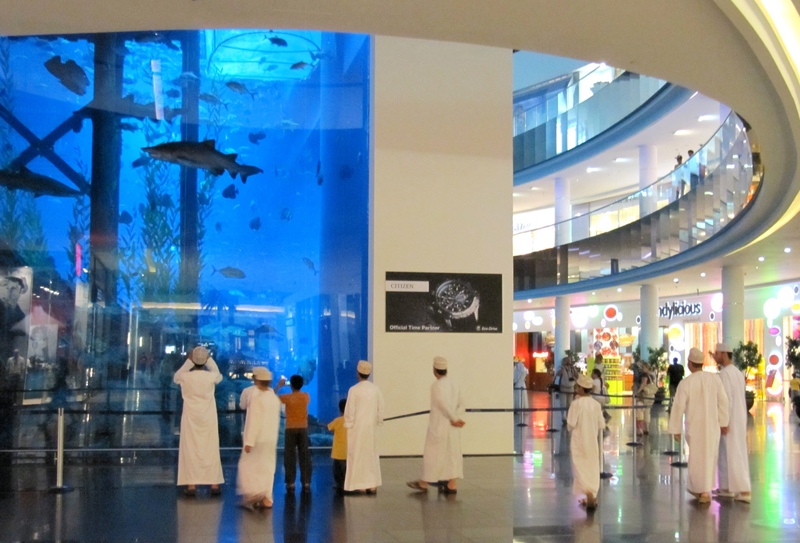 A huge percentage of the current Dubai turnover comes from the shopping tourism. Since Dubai has exhausted completely its oil resources, the government was forced to find other tools for keeping the glamour of this emirate. I find it extremely clever, investing in innovations and architecture wonders, erupting economy at another level and facing alternative income sources. Shopping is already a cult in Dubai. Here it doesn’t mean just visiting and rushing through the shops. It’s a smartly implemented strategy for making you spend money with pleasure, providing at the same time joy, relaxation and high level emotions to the clients, who remain more than happy, while emptying their credit cards. 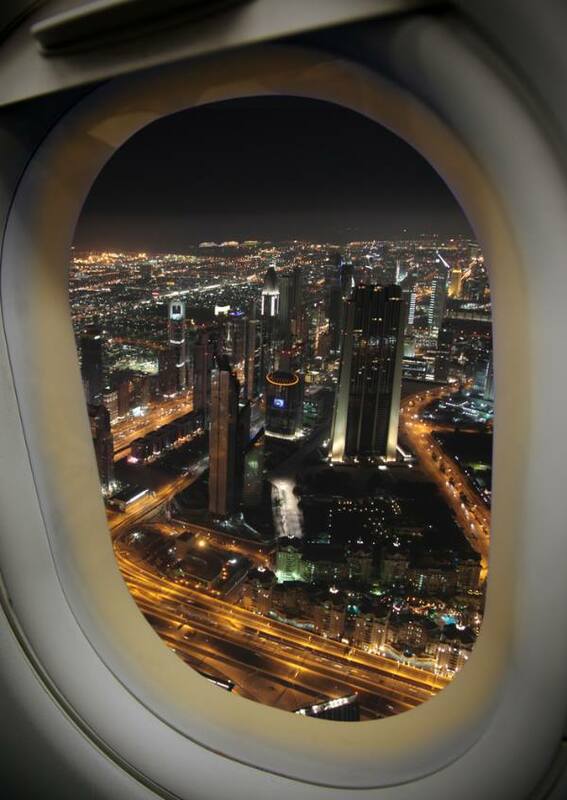 It doesn’t matter if you are a short time visitor or a long staying resident in Dubai. All the services are comfortably arranged just in the direction any customer to buy as much as they would be inspired to. And inspirations are all over Dubai. I was 8 times in Dubai. The shortest visit was 10 days. So, I could probably declare to be kind of a shopping expert, which actually was the main business purpose of my visits. 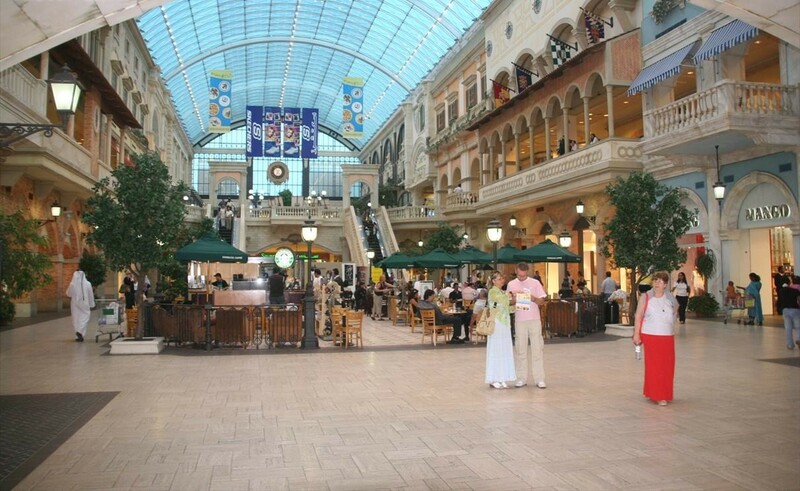 I am absolutely convinced the best place for shopping is Dubai Mall, called at the moment the biggest Mall in the gulf. It’s the smartest project I have ever seen, which politely and very smoothly squeezes out your financial funds. And you even enjoy it! Dubai Mall was built just a few steps away from the tallest building in the world Burj Al Khalifa. The strategic location is the first advantage. In addition, I’ll provide a free “commercial” for one hotel, that is the best place to stay during the shopping tour. This hotel is NOT Burj Al Khalifa though. If you want to explore Dubai and to collect unforgettable shopping memories, the best hotel to stay is The Address Dubai Mall. Let me prioritise the benefits, I experienced by myself and could compare with other hotels I was accommodated in Dubai. The hotel is just the next building to Dubai Mall and is linked to the Mall by a direct tunnel, so you move directly from the hotel lobby into the shopping centre. If you stay in The Address Dubai Mall all your purchases from Dubai Mall will be delivered directly to the hotel concierge, respectively to your room. All you need is to ask for your boxes to be carried to the hotel room (just drop your name and the room number). The delivery is free of charge. This way you won’t carry all your heavy bags during the rest of the shopping tour. The price of the hotel rooms is very affordable as well. There is a residential side at the same hotel, where you can ask for a studio or an apartment at much better price than the hotel side (usually fully equipped). The wonderful breakfast is included in the room price, as well the gym and the swimming pool (both are fantastic). You can easily get access on foot to all the 70 restaurants (maybe more) and cafes in Dubai Mall and to choose between the verity of dining menus. In fact, without having a car, but staying at The Address Dubai Mall hotel you will have an easy access to most of the attractions in Dubai. Dubai Mall is sort of a city itself. A week is not enough to explore everything and to get familiar with the environment. And this mall is not only shops and restaurants, but much more. It’s full of Internal sightseeing, that supports keeping visitors’ interest fresh and smitten. You can spend hours staring at it. 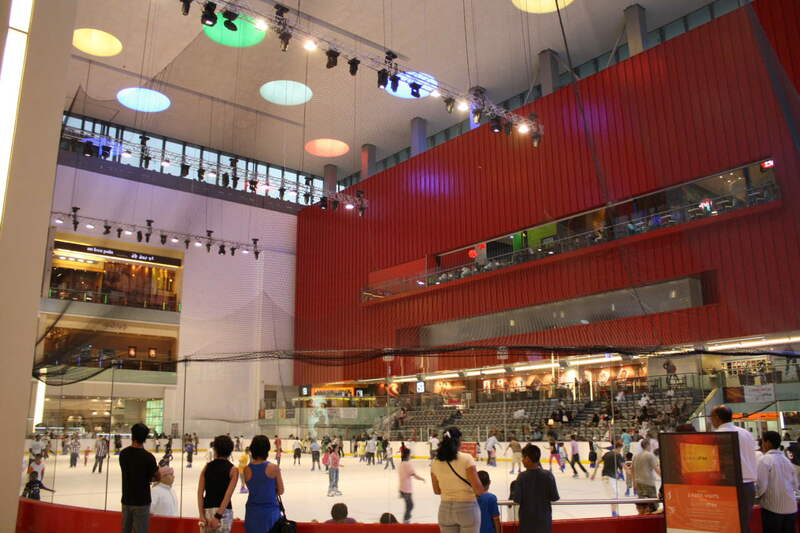 The front window is just steps away from the main Dubai Mall entrance. 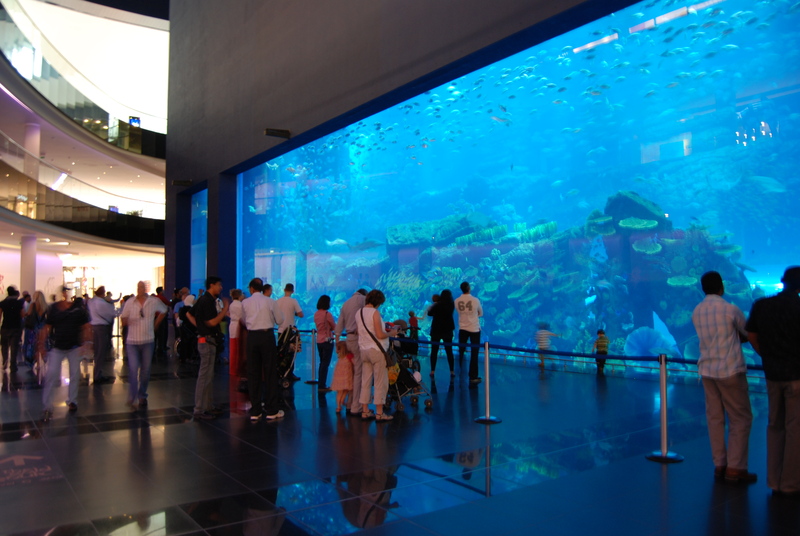 Not sure how high is the front show window, maybe more than 10 meters, but it’s a huge incredible aquarium attraction. It’s one of the main stops of Dubai Mall and you won’t regret your time or money, spent in here. Very clean, with diversity of wildlife, feeding hours observation, sometimes divers inside. 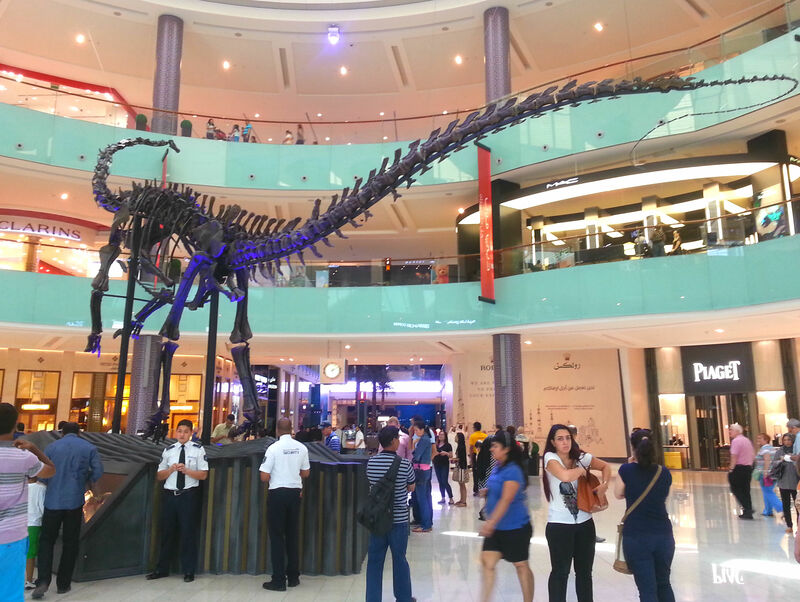 How many shopping centres in the world you know to owe their own dinosaur? Well… I saw this ancient”property” in Dubai Mall. It’s a full size/ height dinosaur, presented by its original skeleton, 155 million year old, long-necked dino. On the plate in front of the skeleton it was written the creature was kind of diplodocus and was heavier than 5 elephants. Found in the USA, the dino was relocated to Dubai. The height is almost eight meters. It doesn’t matter how hot is outside, this ice skating rink is non-stop open. The rental price per person is 15 euro. For this money you get your rental skates and 1,45 h skating session. This kind of monument is spectacular I was told the waterfall is about 25 meters high. It represents divers at their jump. Designed to reflect the sunlight during the day and well-lit during the night, the waterfall pulls up everyone’s attention. I was curios who is the designer and was told the waterfall was built by an architecture company, based in Singapore. It’s a bewitching attraction and is worth it to be seen. The dancing fountains were called this way, because the fountain performs kind of a dance accompanied by an amazing light show with musical background (every show has different one). 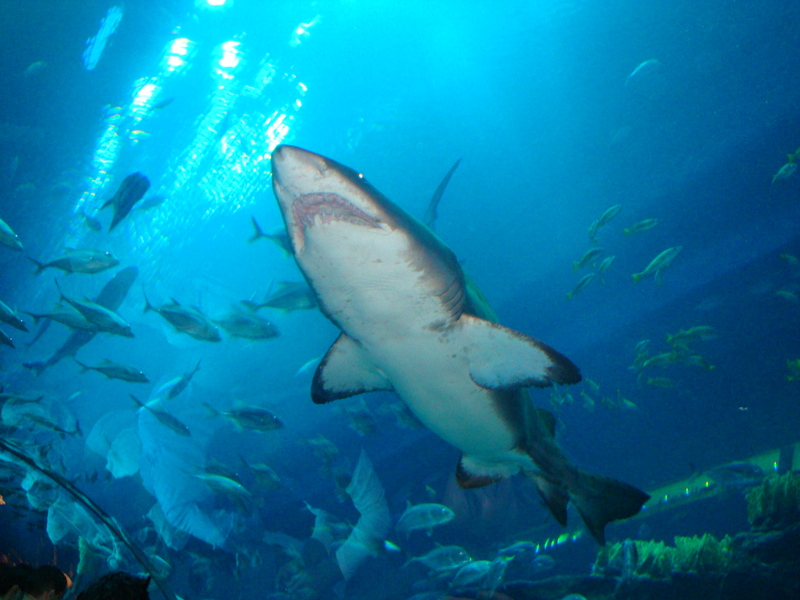 Being so famous, this attraction is overcrowded by admirers. By my opinion, the best show starts at 8 pm. To attend it though, you should book your table at least a half an hour prior, at one of the cafes or restaurants around the fountain lake. I watched the fountains’ dance once from my hotel room balcony and second time at the terrace of Karma cafe. Here are some places suitable for good fountain view . Don’t miss it out, it’s truly unbelievable! A woman with money in Dubai Mall is unstoppable. I believe most of the women are just like me, crazy about shoes. So my dear ladies, here is exactly your place. 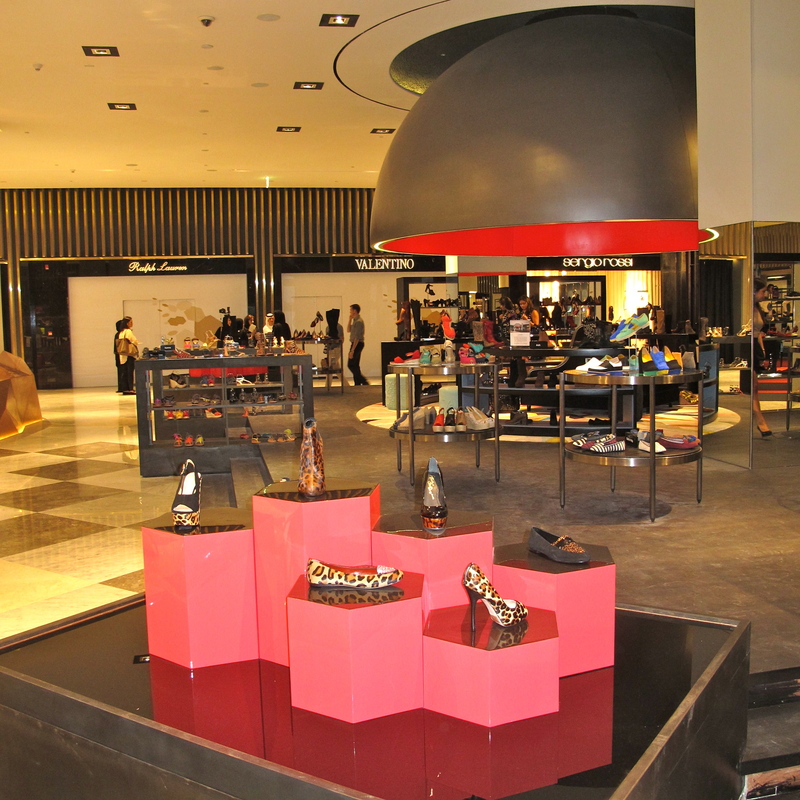 A city of shoes, the shoe paradise on Earth – Level Shoe district. All the brands gathered at the same spot. Whatever you search for, it’s here. Starting with the most famous shoe designers and finishing with unknown names, but the diversity is impressive. The entrance of this shoe paradise is next to the Aquarium front show window. I would personally advise you to avoid Dubai shopping festival, that runs every year from January 1st to February 1st. It’s unpleasantly overcrowded. That’s true, the prices would be lower, but it’s because most of the stuff, offered during the shopping festival, are unsellable items or remains from old collections. 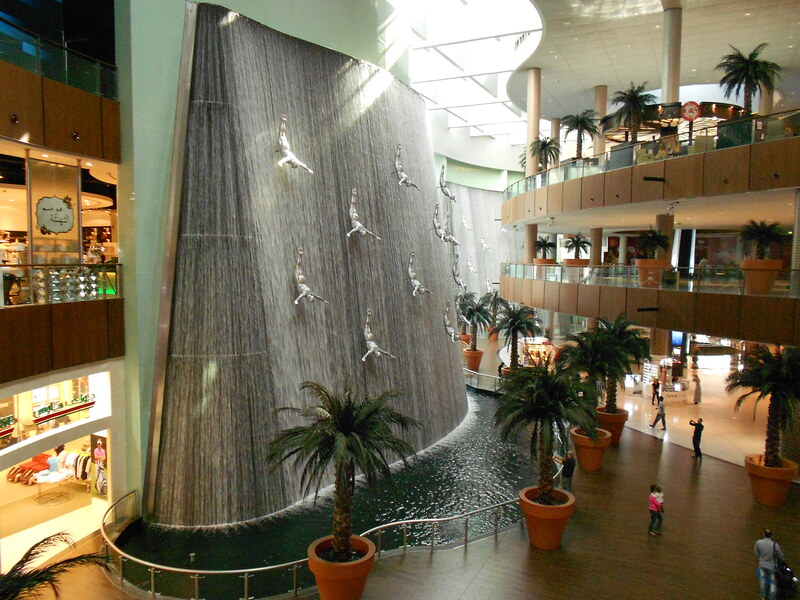 In case you are just a transit passenger, willing to spend time in Dubai in between the flights, there is a drop off baggage service at Dubai Mall, very close to the waterfall. Affordable price per hour, the final amount depends on the number of hours. Secure and safe, I used it on the way to Sri Lanka during my layover. At the airport if you wish to get a taxi to Dubai Mall, first let you know it’s about 15 minutes drive Airport – Dubai Mall. In case you are a single female passenger or a group of female travellers, you will be directed to the “Pink Lady taxi service“. It’s a pinky roof taxi, driven by a lady (due to cultural reasons). Be aware, that some of them have no idea about the direction (be patient), unless it’s not an incredibly famous spot like Burj Al Arab or Burj Al Khalifa. Don’t worry, Dubai Mall is now the most popular place in here, so I believe you would be safely and shortly driven to this wise and quite impressive shopping money accumulator. I’m extremely impressed with your writing skills and also with the layout on your blog. Is this a paid theme or did you customize it yourself? Either way keep up the excellent quality writing, it’s rare to see a nice blog like this one nowadays.